For F1 in the still relatively fledgling 2015 campaign it's almost like none of us have been away since last year. And not just because seasons finish later than they almost ever have, meaning downtime between the end of the final race and everyone turning up bright as buttons for first pre-season testing can seem close to non-existent. Generally much of the 2015 season has been mere continuation of what was on view in 2014. A case of 'as you were'. Not least that Mercedes of course remains on top; not surprising given its chasm of an advantage over the rest last season and that regulation changes between years were modest. Like this point last season too Lewis Hamilton has won three rounds from the first four and the perception is that he's driving as well as ever. 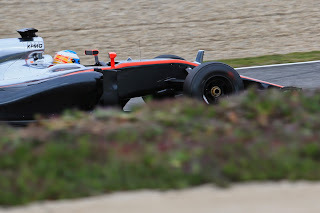 Indeed, even on the first day of testing the team was giving serious notice of intent with a record number of laps - 80 laps on the first morning when all others combined managed only slightly more in 96. It was like they were, in Christian Horner's words, "taking the mickey". The first race in Melbourne looked like more of the same from last campaign also, as Mercedes prevailed by a country mile. But there has been one grand shift from last season that has emerged since. And it came from the red corner, as in Australia both Ferraris' true pace was concealed by both Sebastian Vettel and Kimi Raikkonen spending much of race day in traffic. Since then we've seen what this year's red cars really are made of, and indeed Ferrari has done enough so far to demonstrate that the Mercs won't have it all their own way out front. The Scuderia's even won a race and might even have one another with the odd additional card tilting their way. Mercedes still has the greater peak pace which manifests itself most in qualifying, but come the race it's much closer. Some think all else being equal the Ferrari might even have the edge. So what's gone on? Well the SF15-T is in effect the first Ferrari from the technical leadership of James Allison (he had little input into the 2014 machine), who with Adrian Newey now stepped back has a strong claim to now being the sport's technical standard bearer. And while many thought that Ferrari's year of the long knives last season was indication of the team descending into chaos, in among it all Allison was given freedom to do things the way he chose, and indeed he has commented that the clearing of the decks did in fact aid him in this. The result this year is a car with many of the characteristics of his series of Lotuses from when Allison was there. Namely fine handling, superb traction and almost other-worldly ability to nurse the tyres. And when the need to look after the rubber limits the pace Ferrari can get one over the Mercs, such as was the case in Malaysia when Ferrari triumphed with Vettel. But as noted even in the normal run of things Ferrari is close to Mercedes, and this is not least down to a vastly improved power unit, which is reckoned indeed in one bound to have got with its German rival on horsepower. You could argue there was easy ground to be made up with the Scuderia going down the wrong path with its 2014 unit, but the gain is still remarkable. And to emphasise this compare what Ferrari's done with what Renault has (or hasn't) in the same period. That Ferrari found an extra £150 million for its budget apparently - which Claire Williams pointed out rather ruefully was an increase larger than her team's entire annual spending - helps of course also. And its potency over a race distance isn't thought to be down just to be to its gentle touch on the rubber. 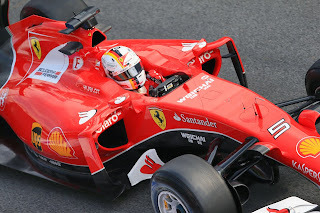 As James Allen noted recently: "One of the reasons why the Ferrari is such a strong race car is because it has an aggressive engine mode, with a strong battery and an efficient compressor, which it is able to use all race long, whereas Mercedes has to dip into a more conservative mode at times during races. This gives Ferrari a chance and means that over a race distance there is now little to choose between the two power units." Mark Hughes has explained too that Merc now seems to be in a similar quandary to that Red Bull was in during years past, of how best to extract its latent performance with the apparent 'ceiling' provided by the Pirellis at a certain level of downforce, and right now it's all rather masking its true pace. 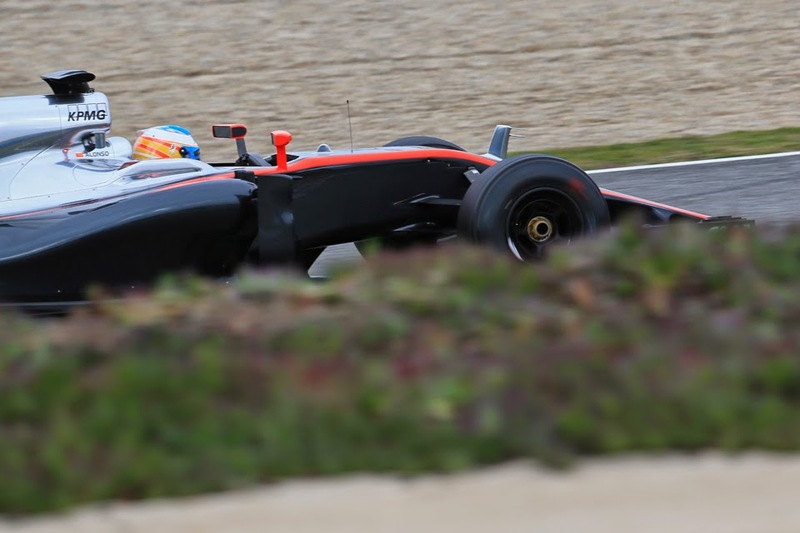 The Italian team also is highly bullish about the car's development potential, both on the chassis and power unit. But then again we can't expect Merc to stand still either. Fernando Alonso might remind us too that debilitating recrimination often isn't too far away at Maranello, and only at the inevitable point that it encounters some more serious challenges will we be able to gauge how much the squad really has turned a new leaf. 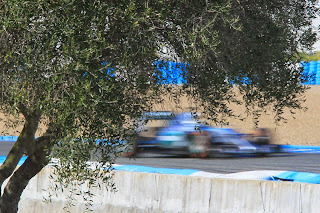 Yet whatever is the case, for now for the first time probably since the early part of 2013 we head into race weekends without an entirely clear sense of which team is the one likely to prevail. The intra-Merc battle however has so far been a lot more easily predicted, and not to the benefit of Nico Rosberg. The gaps between him and Hamilton at the end of races at least have been small, much smaller than at this point last campaign on average (though, on the other hand, in at least a couple of them Lewis looked to have a bit in hand and one was behind the safety car). But Nico has yet this campaign to get one up on his team mate either in a race or in the qualifying order, and the accumulative effect is not to be denied - 2015 so far has been a continuation of the latter part of 2014 when he only beat his team mate once since Spa and all that. Another problem he has is that it all chimes with the expectations held by many that this year, with the assurance of a second title in pocket, Lewis was due to leave Nico behind with regularity. And Nico's barbs to the media about his team mate after the Chinese race were interpreted by most as strident and perhaps betraying that things are getting to him. Still, come the Bahrain race Nico proved that there is still some fight in him, and Niki Lauda for one spoke of transformations. And something that he might take comfort from is that essentially the only difference between now and last year at this point - in a season of course where he went toe-to-toe with Lewis - was that last time in round one Lewis retired with a technical failure. Those are the margins in F1 I suppose. But it's an indication too that for Rosberg, and for everyone else for that matter, things can change very quickly still. The others have been specks in the rear view. Williams is firm best of the rest yet appears to share a similar problem to Rosberg in that compared with expectations it's been interpreted as a slightly disappointing time of it. But in fact the Grove team has close to double the points as it had this time one year ago, and furthermore at just about any time in the last decade it would have immediately seized on an offer of being third best out there. There has (again, like last year) been the odd grumble that it might not be getting the same Mercedes engine grunt as the works team, but if this is so then Williams might hope for a few more goodies as Merc could be inclined to help get the Grove cars between itself and Ferrari with more regularity. Lotus and Sauber are two more to have made conspicuous step-ups on last season, either aided by a much improved engine plus a neat chassis. Another thing that is something like last season is that the on-track fare for the most part has been one of the better things about the whole shebang (more of that anon), even if a few would like to see the excitement level turned up a bit. Australia and China were rather tepid affairs, though Malaysia and Bahrain while not classics were at least diverting. While Nico Rosberg complaining that his team mate ahead in Shanghai was driving too slowly ignited some scorn, it was more likely an indication of a sport that still requires its pilots to drive to a prescribed laptime and that it's difficult to follow cars ahead closely lest the tyres get destroyed in - yes, that old phrase - the 'dirty air'. From Clip the Apex's analysis overtaking is indeed down on last year, though also is at roughly the same level as for much of the 1980s, when we tend to look back on as when the sport got things just about right on this at least. Furthermore the Pirelli tyres apparently are a bit harder than before and in the opening round in Melbourne when tyre degradation was very low we all complained about the processional fare that seemingly was a consequence. Perhaps it shows the usual Pirelli tightrope walk of being somehow able to provide enough in-race variation of pace to liven up the action but not to the extent that it all becomes an exercise in tyre management and hitting delta times. Mark Webber as we know tweeted as much about the latter point in rather forthright terms during the Bahrain weekend: "Blood's boiling watching most single seater categories including F1 become completely dependant on extreme tyre management. Let drivers push." Sadly though, much more about F1 seems mere 'as you were' compared with late in 2014, and for altogether negative reasons. The things shown then to be wrong with the sport have not gone away, merely lingered. Indeed some have lingered for years. And as if timed to maximise F1 discomfort, we had an excellent WEC race at Silverstone in recent weeks which seemed to demonstrate that formula is doing a lot right in the precise areas where F1 right now is doing a lot wrong. The likes of Mark Webber (as mentioned) and Silverstone's Managing Director Patrick Allen among others have been vocal on such matters too. Cost control - spending for various reasons being much bigger than many squads' ability to raise revenue - remains the biggest priority. 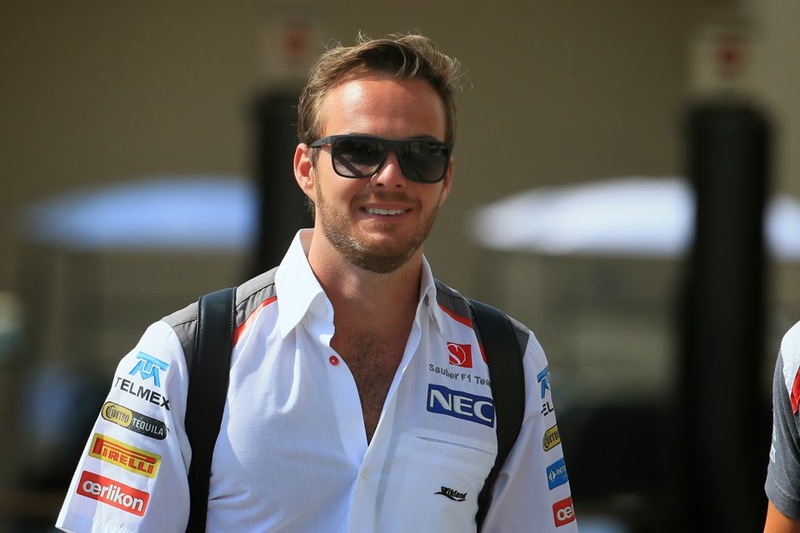 And it was another thing that showed itself before the season had even started, and in cringe-worthy fashion with the legal case of Giedo van der Garde against the Sauber team. It kicked off in Australia's opening round in the days before first practice and loitered throughout proceedings - the Swiss squad seemingly ignoring a signed contract when it needed a higher bidder behind the wheel. Monisha Kaltenborn being led out of the paddock in handcuffs seemed a possibility for a time. Many other team principals were furious at the team's behaviour, reportedly. 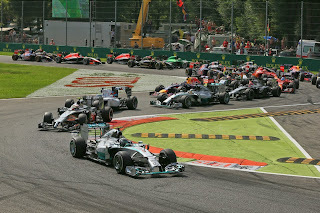 The sport somehow has managed to beg, borrow and steal a grid of 20 for this season, but don't kid yourself on that basis that the problems manifested so gaudily late last year with two teams missing races and three more threatening boycotts over the issue have been resolved or even emolliated to any extent. Those squads remain - as Martin Whitmarsh had it - in "survival mode", as indicated by the three teams thought most under pressure each getting a cash advance of £6.5 million of their prize money from Bernie Ecclestone in order to make it to the first race (F1's equivalent of putting your debt onto a credit card). As the respected Zak Brown, one of the sport's leading marketers and sponsor finders, noted lately: "The budgets are out of control, and that then forces the whole eco-system of the sport to be financially strained...the expense of the sport is out of balance with the commercial value of the sport. Budgets now are $200-300-400 million. It's nuts." Most of the money too goes on things like minuscule aerodynamic detailing and weight saving, that makes hardly any difference to what we see watching on. 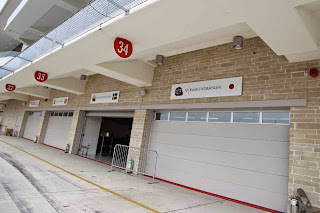 Gerard Lopez of Lotus indeed late last season outlined that the laptime comparison with GP2 rather underlines where F1 has gone absurdly astray: "I take a GP2 team, or a GP2 car, and I make it race around this track. It's not going to be ridiculous. It's going to be down by a couple of seconds, four, five, six, maybe seven seconds. The whole GP2 team for the whole season is going to cost €4m. Are we really that much better? I mean are we really better to the point that a team needs to spend €300m to be six seconds faster? We're not. I wouldn't accept that argument from anybody." Rather underlining the non-changing lingering nature of F1's number one problem the ex-FIA President Max Mosley dusted down his solution first mooted in 2009 of a strict budget cap in return for more technical freedom, which Mosley to his great regret just missed out on pushing through then. That which if it can be made to work resolves at least two of the sport's endemic problems listed above. Perhaps more than two. 'If it can be made to work' has always been the big question about it (though football's had a lot of success in policing its own loose equivalent in Financial Fair Play). There also is the challenge of getting the thing agreed to at all, as just with why it floundered last time there will be a team or two at the front minded rather than to have very profitable businesses in a sustainable landscape instead to continue cash-splashing their way to success thanks very much. Just last season indeed the Strategy Group cast the budget cap solution aside once again. Yet as Jonathan Noble wrote: "the budget cap idea keeps returning to the F1 agenda because it is perhaps the only way to bring down costs that actually brings benefit". In Mosley's words - and as we've seen in recent times - "you cannot control costs through regulations". It only restricts innovation and teams inevitably find other things to spend their money on and the incentive to out-spend opponents if you can remains untouched. Illustrating as much, F1 costs now are as high as they've ever been. The new but not exactly new budget cap idea has already got a couple of teams backing it in Force India and Sauber. And the author himself Mosley certainly sounded optimistic that unity can be found this time: "I could imagine that very soon all the teams would be in the budget cap camp," he said to Germany's Auto Motor und Sport recently. "They would realise that for $100 million, you could have great motorsport and build technically advanced cars." In F1 as in anything, everything is connected to everything else. And nothing succeeds like failure. The lack of cost control and amoral bottom line chasers in charge have contributed to a financial model of recouping money via vast race hosting fees. The is mainly paid by governments in countries without much of a motorsport fanbase, nor even much of an incentive to build them as national 'branding' is their main goal. Classic venues close to the sport's core support increasingly are priced out. It also means top dollar ticket prices, which further decreases the number that comes through the gates, and the negative spiral is hastened further by there being not much cash left over to promote the event nor to improve the fans' experience. Brown continued on a similar theme: "We don't need $400 million budgets. And if we don't need $400 million budgets, we don't need the same size of sanctioning fees which are putting tracks out of business, which then means we don't need to charge the consumers as much." "What I'm seeing is...attendance is down, TV ratings are down, car count is struggling. So your key performance indicators are all on a downward trajectory right now" he said. "But even though the sport is massive, marketers do like things that are hot and buzzy. And right now Formula One doesn't have the buzz it's historically had. I think it can come back but they need to work on the product." Even Monza is now under threat. And Azerbaijan awaits, as perhaps does Qatar. Heck I even read that Iran wants to build an F1 venue. "Losing Germany: I haven't had anything other than disappointment from sponsors on that," said Brown. "With Italy there will be the same reaction." "Some of the new markets, Mexico, are fantastic. Some of the other markets that are new, less so. We are adding some good ones…but then there is speculation of a third race in the Middle East. How can you have three races there and none in Germany? I think the two they have [Bahrain and Abu Dhabi] are outstanding and contribute a lot to the sport but a third? I don't think the market can support that." So why does the sport's trajectory of a suicide pilot not change? Well it seems no one can. The FIA has abdicated its regulatory role it seems to the teams, who can't agree on anything. In any case the FIA's leadership doesn't seem keen on confrontation these days. Bernie - now in effect an employee of CVC - doesn't have the power he once did. But something might in fact be changing. The feeling at last is that we can't go on like this. And the consequences to the sport of going on like this for much longer don't bear thinking about. More and more voices in addition to the likes of Brown and Mosley are audible on the subject, and it seems - again at last - to be penetrating the consciousness of those on the inside too. According to James Allen there is a "pincer movement" going in in F1 at a high level against venture capitalists CVC which has a controlling stake in the sport's commercial rights, and the organisation's Donald Mackenzie was present in Bahrain and apparently was left in little doubt that key figures in the sport are deeply concerned about the problems listed already, they also feel CVC should either invest in F1's future rather than just take money out, or step aside. The new and slightly mysterious Save our Formula website is thought by some to have been established to a similar end. There still are obstacles to surmount. The main two we've already touched upon - that it's not clear who if anyone can step up to make the changes required as well as that there are vested interests with favourable long term deals that won't be inclined to give them up. But at least now there is some pressure being applied and to those at the highest level. "I think by 2017 those engines, between all manufacturers, are going to have north of 900 horsepower" said Wolff. "Then it's a question of how do you want to market that? Does it make a big difference between having 950 horsepower or 1,000? I think there are pretty easy tools to increase the horsepower, and this is increasing fuel flow. If you want to increase the fuel flow by 10kgs an hour or 20kgs or whatever it is, then you are going to have more than 1,000 horsepower." Control on how much the manufacturers can sell their units to their customers teams would be good too. Which perhaps is the greatest absurdity. That despite the apparent depth of the despair many of F1's problems can be resolved relatively simply and incrementally. If only someone would.